In the fallout from the school shooting in Parkland, Fla., on Feb. 14, companies across the U.S. have been cutting ties with the National Rifle Association. On Saturday, both Delta Air Lines and its competitor United joined that growing list by announcing that they were ceasing discounts for NRA members. According to Raw Story, Delta also asked the NRA to remove its airline information from its site. But Georgia Lt. Gov. Casey Cagle and his fellow NRA-thirsty cronies lawmakers will not stand for such injustice. 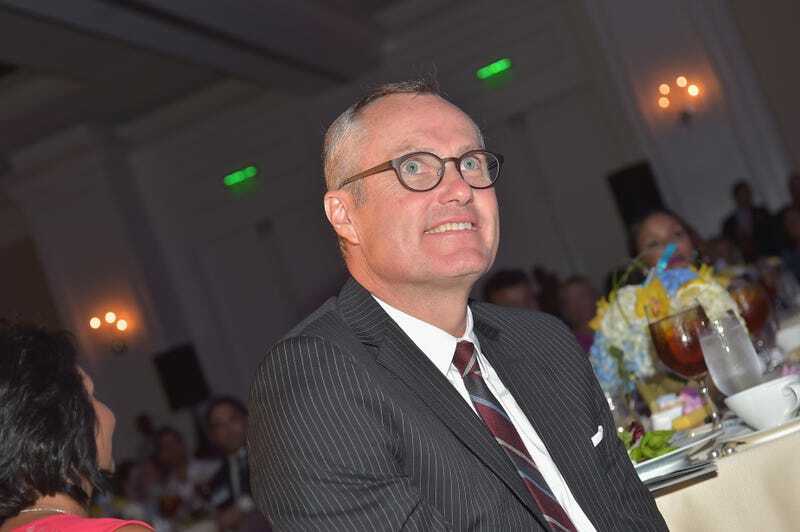 On Monday, Cagle, who just so happens to be plotting a run for the state’s governorship, announced that he and his fellow conservatives were fighting back. “I will kill any tax legislation that benefits Delta unless the company changes its position and fully reinstates its relationship with the NRA,” Cagle tweeted. The public threat was directed toward Delta in particular because the airline is based in Atlanta. It’s also one of the biggest employers in Georgia. So why would a (presumably) job-loving, Georgia-devoted Republican target one of the largest employers in his state over what CNBC says is a 2-10 percent discount? And, moreover, is such a move legal? Cagle’s warning certainly appeases the NRA and its supporters, many of whom called for a Delta boycott following the airline’s announcement, as Raw Story notes. (I mean, if you’re about that Spirit Air life, girl, go ahead, I guess.) And because he’s on the ballot this year, the tough stance will ingratiate Casey and other candidates to Second Amendment-loving voters who can’t fathom not getting preferential treatment and cheaper window seats for owning a damn gun. Raw Story also notes that Georgia lawmakers are currently considering a jet-fuel-tax exemption that was drawn up specifically to benefit Delta. As of Monday, however, some state Republicans had threatened to pull their support. In a statement, Delta reiterated that it supports the Second Amendment, and that ceasing the NRA discount “reflects the airline’s neutral status” in the national gun control debate. Andrea Young, the executive director of the American Civil Liberties Union of Georgia, also responded to Cagle, criticizing the lieutenant governor and pointing out that Atlanta had been selected as a finalist for housing Amazon.com’s second U.S. headquarters. In an emailed statement to Time magazine, Young wrote that “politicians should not use taxpayer dollars to impose ideological litmus tests and punish organizations that express views that politicians dislike. “Amazon should take note,” Young added. As should any voter who values jobs over saving $20 off a damn airline ticket.